← Sometimes I struggle . . .
You know, sometimes when I write things, I have a feeling they are not going to be well received. It is like teaching about something in the text and having someone accuse you of judging them by doing it. You respond back, “I didn’t write it, I just read it!” That rarely makes a difference though because you are easier (and safer) to criticize than the text itself. History gives us large examples of facts to choose from that many seem to choose to twist or ignore, either on purpose, or out of ignorance. When you bring these facts up, especially historical religious facts, the safety nets around a persons beliefs (a person’s ideology) are often shown to have holes in them. Most people don’t seem to like their safety nets being shown as being unsafe, ie, they get angry. 8 ‏ד‎ 8 “Remember the day, Shabbat (Sabbath), to set it apart for God. and separated it for himself. This commandment tells us that Adonai rested on the 7th day (Shabbat: Saturday). This commandment tells us to remember that day and set it apart for God. Not to work on that day nor have anyone in your household do any work – not even your animals or your guests! It tells us that Adonai blessed this day and separated it for himself. 24 They set it aside till morning, as Moshe had ordered; and it didn’t rot or have worms. Although the text doesn’t specifically tell us, I think these two verses imply that Shabbat was always in effect by the very fact that Adonai – God Himself – set this day apart (separated this day for Himself) and rested. You will have to decide on your own whether you accept that premise. Yeshua doesn’t reiterate this commandment (Argument from silence: argumentum e silentio). A passage in Acts 20:7 that states that they got together on the 1st day of the week (Sunday) to break bread. That is the basic thesis – these 3 points. Some try to argue the 1st point away – I don’t. I haven’t seen any convincing evidence that Yeshua wasn’t resurrected on Sunday. Where scripture is silent, we should be silent. Miryam of Magdala and the other Miryam went to see the grave. and Shlomit bought spices in order to go and anoint Yeshua. 54 It was Preparation Day, and a Shabbat was about to begin. they saw the tomb and how his body was placed in it. 56 Then they went back home to prepare spices and ointments. since it was an especially important Shabbat. So they asked Pilate to have the legs broken and the bodies removed. Obviously, the Marys didn’t want to break Shabbat by these accounts – By their actions, they didn’t understand it to be abrogated!. Luke tells us that they rested in obedience to the commandment. Do you understand why? Luke didn’t write this that day. He wrote it in 75-100 AD – 45 to 70 years after Yeshua was crucified! Why would he write “in obedience to the commandment” if it was no longer a commandment? We will take a look at the 3rd point (Acts 20:7) in part 2 of this post next and then delve into the historical areas that are NOT silent concerning why the Christian church went from worshiping on Saturday (Shabbat) to Sunday. Blessings to you all and Shalom! This entry was posted in History and tagged Acts 20, argument, christianity, commandment, even if, Exodus 20, hermeneutic, Jesus, jew, jewish, Luke, Mary, Messianic, principle, Sabbath, Saturday, scripture, shabbat, silent, Sinai, Sunday, Yeshua. Bookmark the permalink. Very convincing or should I say convicting? Waiting patiently for the next installment. Really good “points”. I had never heard the “silence” thing before…………it kind of un-nerves me……..that could be a dangerous approach to understanding Scripture. Thanks for the comment Daveed! I am aware that many feel it was Motzaʾei-Shabbat such as David Stern. I am also aware that 1st Corinthians 16:2 is believed to be Motzaʾei-Shabbat as well by some. The problem for me is reading into the text (eisegesis) can lead to error. We need to be pulling out (exegesis) what is there and not be dogmatic on what isn’t. I am not saying you are wrong, and I am not saying you are right. It is speculative either side of the argument. Jew , Roman official or title? No one really knows but the concensus seems to be Roman or Greek. That being said and regardless, we have to remember that there are strong indications that Yeshua rose on day 1st based upon what we know about shabbat, how it was observed and why they hurried to take him down. Otherwise, wouldn’t there have been outrage when shabbat was outlawed at the council of Laocedia? – wouldn’t there have been extant writings about that outrage? We also understand that Sha’ul was hurrying to get from Troas to Yerushalayim for Shavu’ot. When we look at the big picture – the context – I see nothing convincing that this was a Havdalah celebration. 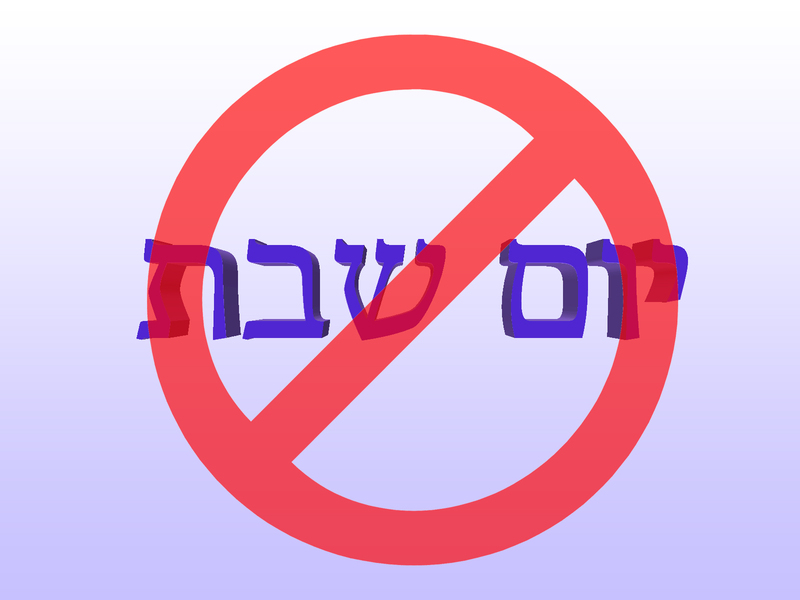 Either way – Havdalah on Shabbat or the evening of Sunday until Monday – it still can’t be on Shabbat because Shabbat ends at havdalah and the Greek text tells us it was “mia ton sabbaton” or first of the week where as when Sha’ul would go into the synagogues to persuade Jews and Greeks, it was just sabbaton. We can’t ignore the distinction. If they broke bread for havdalah as you have indicated, then they wouldn’t be meeting on the 1st day, they would be meeting ont the 7th day because the shabbat would not be over. The only way you can make this work is if you believe the text is corrupted. Problem with that is, then which part is and which part isn’t? Problem with that is . . . .
We have to believe that the text is not only words put on papyrus and vellum, we also have to believe that Adonai is bigger than all of this and His word is not corrupted. There were many arguments from the orthodox that Christians had corrupted the text – then the finds at Qumran happened and stopped that argument . . . there was uncanny accuarcy – which, also proved that there was some attempts to rewite history on the accusers side. I didn’t mean to make this response this long – Since I attend a Messianic congregation, I have heard this argument many times . . . The Qumran counter-argument is always the trump card . . .